Gustav Mahler's Second Symphony, also referred to as the "Resurrection Symphony", is a complete expression of Mahler’s existential struggle; both its form and its overpowering sound make this utterly clear. 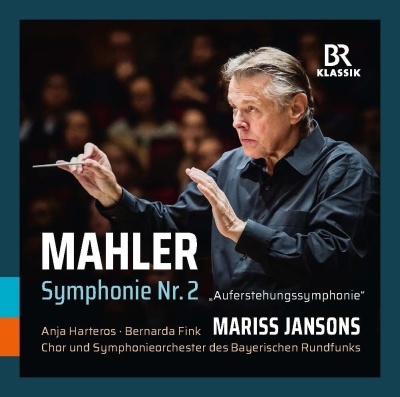 This live recording from 20011 is performed by the Chor and Symphonieorchester des Bayerischen Rundfunks under its chief conductor Mariss Jansons with the two singers Anja Harteros and Bernarda Fink. Gustav Mahler wanted his Second Symphony to exceed any known format – and he also wanted it to tackle the key questions of existence: “Why have you lived?Why have you suffered?Is everything just one enormous, terrible joke?We have to solve these questions in some way if we want to carry on living,” said the composer.Similar questions preoccupied him throughout his life, and with a special intensity during his time as an opera conductor in Hamburg. The Second Symphony, also referred to as the “Resurrection Symphony”, is a complete expression of Mahler’s existential struggle; both its form and its overpowering sound make this utterly clear. The symphony took several years to compose – it was written between 1888 and 1894. In September 1888, the first movement – which at this point still bore the title “Totenfeier” (“Funeral Rite”) – was already complete. The second and third movements were not written until 1893 and Mahler only completed the entire work in 1894. The composer himself said that the notion of making the final movement a musical setting of the idea of resurrection occurred to him in 1894 during the funeral for the conductor Hans von Bülow, in the St. Michaelis Church in Hamburg. At that time he was working on songs from “Des Knaben Wunderhorn”, and re-used “The Fish Sermon of St Anthony of Padua” and “Urlicht” from that song cycle as vocal insertions in his symphony. Like most of Mahler’s symphonies, the work follows a “Per aspera ad astra” pattern (“Through paths lead to the stars”). Starting with a funeral march in the main theme of the opening movement – the passing of a life full of vigour, pain, blows of fate, and only a few brief and beautiful moments – the symphony concludes with a triumphant resurrection movement. This finale, based on Klopstock’s poem “Resurrection”, was Mahler’s trenchant summary of the entire masterpiece, and is in fact the longest symphonic movement in his entire oeuvre. The premiere of the complete symphony took place on December 13, 1895 in Berlin under Mahler’s direction;previously (on March 4 of that year) he had already performed the first three movements.The premiere of the Second Symphony thus took place after that of the Third.The reactions were initially subdued, but today the work ranks as one of the most popular of Mahler’s symphonies.- The Munich concert event of May 2011 is now being released on BR-KLASSIK as a CD – it is a star-studded, outstanding interpretation of one of the most important compositions in the Late Romantic symphonic repertoire.